Today is America Recycles Day! 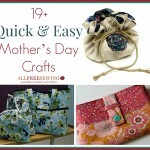 And what better way to celebrate than by crafting with recyclable items? Today we are celebrating your creativity and helping keep America clean. 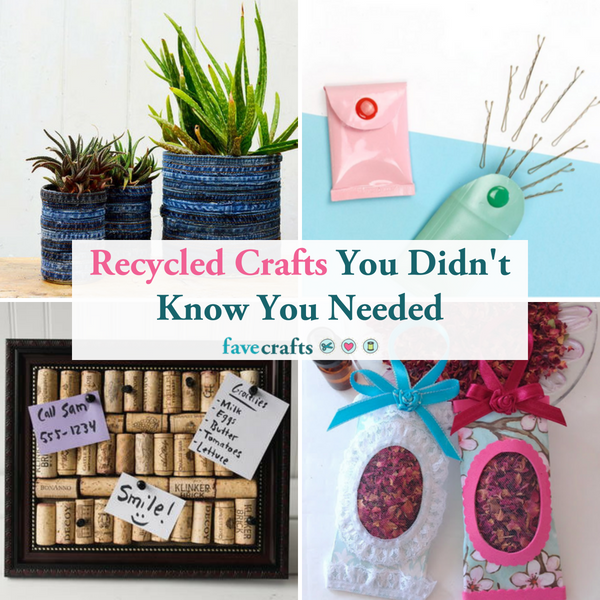 So even if you hubby thinks your crazy for keeping a bag of toilet paper rolls, just know that we here at FaveCrafts applaud you and encourage you to keep crafting with recycled materials. 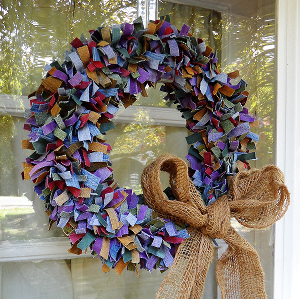 Each hour on Facebook we are featuring a recycled project today. So yes, that means 24 posts today! You can join us on Facebook RIGHT NOW to see all of the fun! Another way to keep things out of landfills is to repair instead of toss. Our favorite way? Krazy Glue! 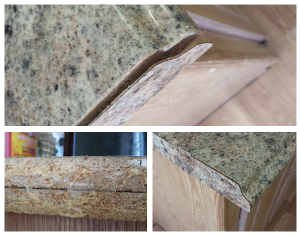 I’m serious when I say this stuff is truly the best when it comes to crafting and fixing up your house. 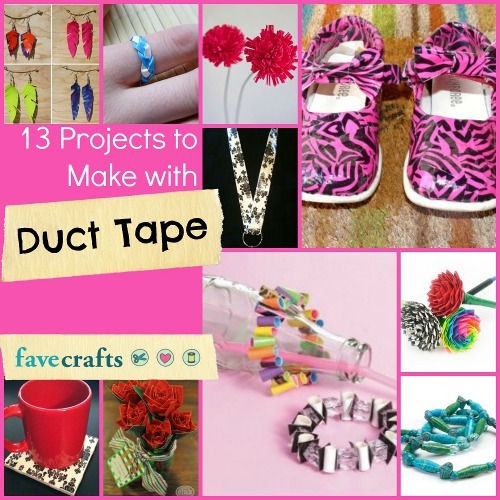 Check out these awesome projects that use Krazy Glue! 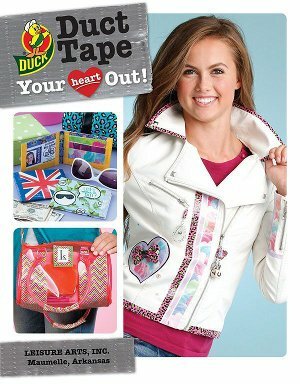 Now you will get a chance to win some Krazy Glue for yourself! 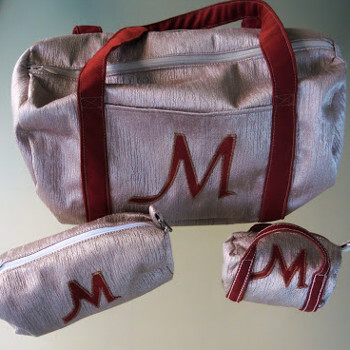 There are two types in this prize and 3 winners will get one of each! Krazy Glue® 20g Craft Gel – Krazy Glue Craft Formula Gel is perfect for filling gaps on porous surfaces like ceramic and pottery. The no-run Gel Formula allows for gluing vertical surfaces without a drippy mess and also allows for gluing two mismatched surfaces. Delayed skin bond with Skin Guard gives you extra working time. Maximum Bond Krazy Glue® 20g Gel – Maximum Bond Formula provides an extra strength and durable shock-resistant bond. Our no-run Gel Formula allows for gluing vertical surfaces without a drippy mess and also allows for gluing two mismatched surfaces. It works best on porous materials like ceramic or pottery. The extended tip makes it easy to get into tight spaces. 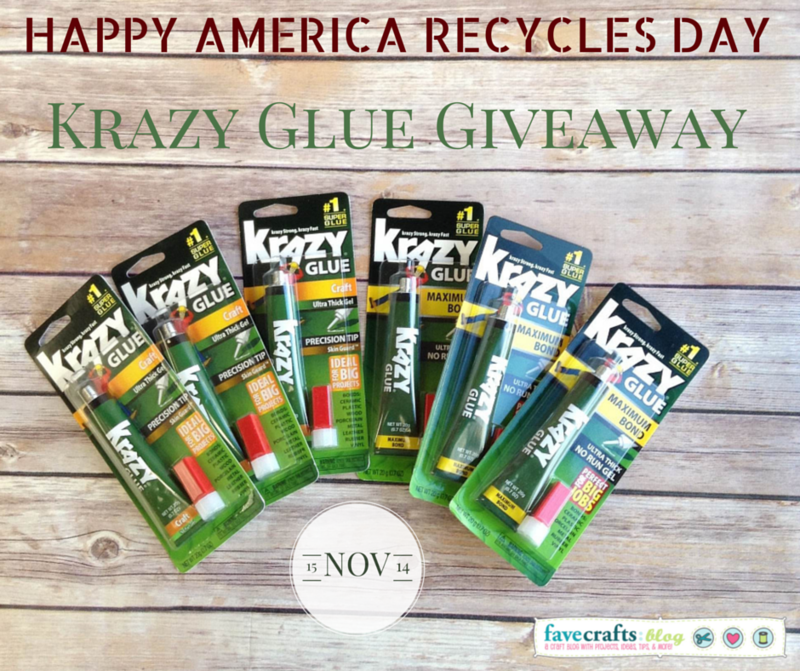 How would you use Krazy Glue to celebrate America Recycles Day? 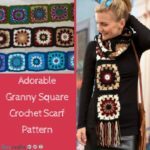 Patricia M – I am always fixing and rehabing items! I could use this in so many ways! Jennifer – I have 4 toddlers in the house so there is always a few things on my “going to fix” shelf. This would go a long way in helping me! 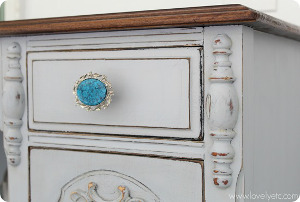 Kyle – I have started using it for several jewelry projects. Love It!! You have until tonight, November 18th, 2014 at 11:59p EST to leave your comment on this post. Comments posted after that will not be counted. Like most people out there, I try to do my best at being environmentally friendly. I use a refillable water bottle as opposed to buying plastic ones, I make sure to recycle everything I possibly can, and I try to avoid driving and walk to my destination whenever possible. Beyond going green for living, I also go green for creating! 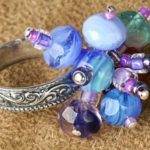 There are countless reasons why everyone should consider reusing, recycling, and repurposing when they craft. Obviously, it’s a little nicer on the environment. Green crafting is also pretty nice on your budget, too. 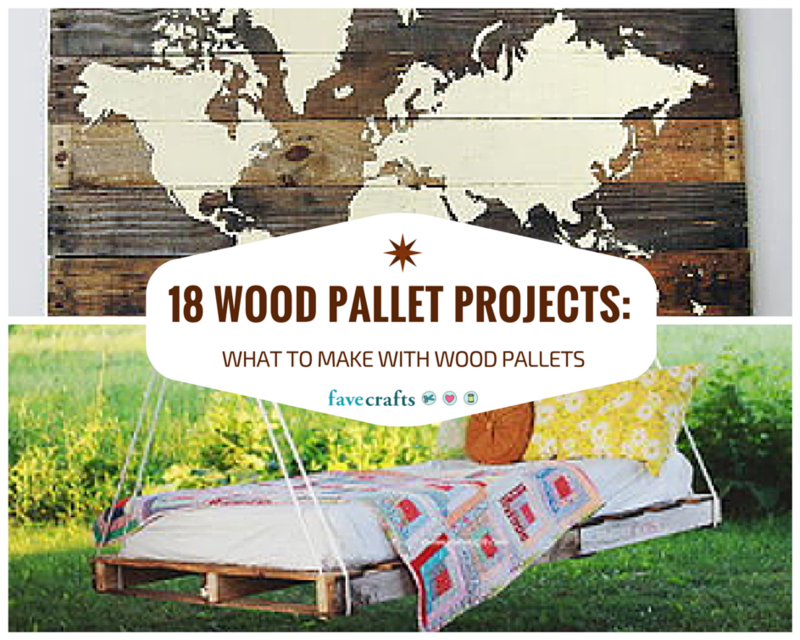 So for your next project, try going green! 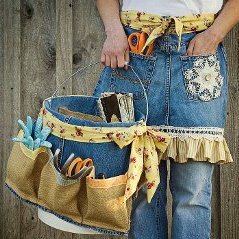 Bust out those scraps, reuse something you have lying around, or create something new with a few materials in your recycling bin. Old sweaters too worn to donate? 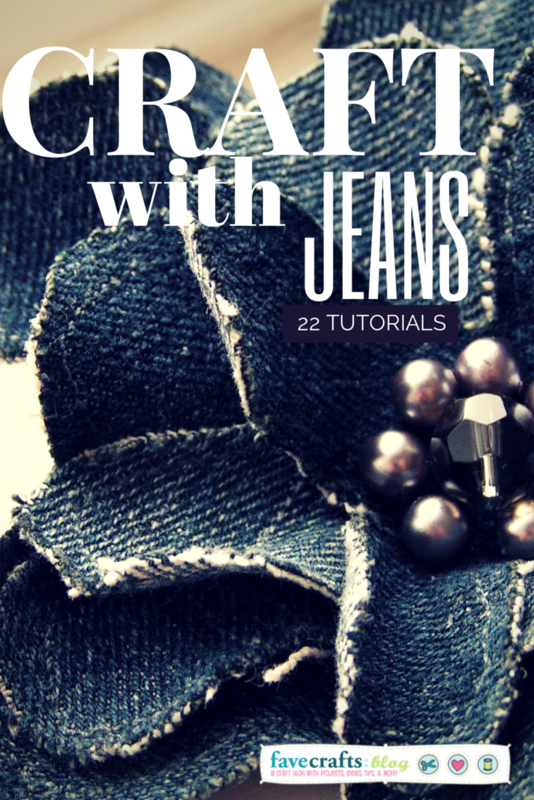 Cut them up to create a fabric wreath! Spare buttons lying around? 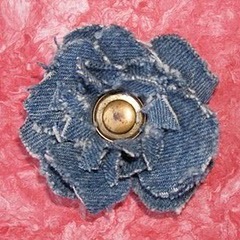 Create some button flowers! 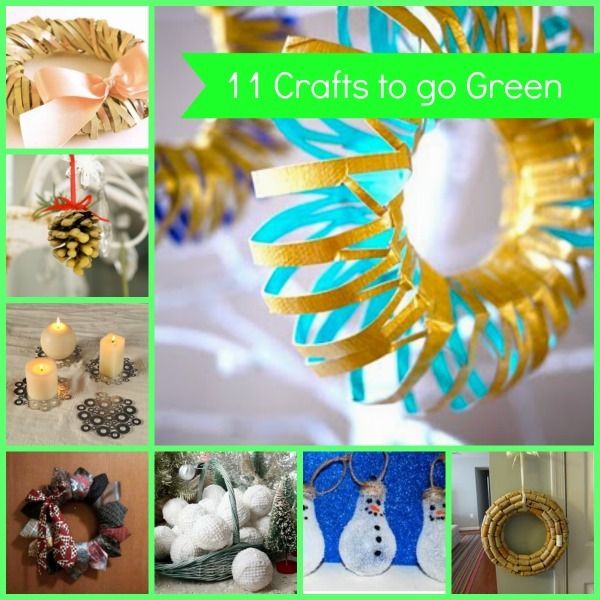 There are so many ways that you can go green when you’re crafting. 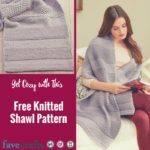 Take a look at some of the crafts from AllFreeChristmasCrafts below. 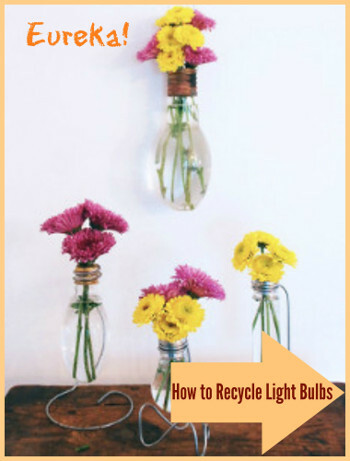 These crafts that you don’t have to sacrifice beauty to go green. Want to Learn More About Green Crafting? 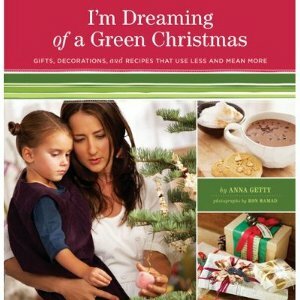 Enter our giveaway for Anna Getty’s book, I’m Dreaming of a Green Christmas. Full of crafts, recipes, and green tips, this book is the perfect way to get more inspiration for going green. The contest runs until January 28th so don’t miss your chance to win, enter today! You’ve heard it before: reduce, reuse, and recycle. But have you really put in the effort to follow that simple mantra? 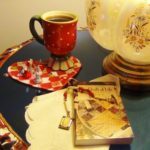 With New Year’s Eve right around the corner, I’ve made my list of New Year’s resolutions, and being more eco-friendly is at the top of my list. Teaching kids to recycle is an easy way to get the entire family to go green. With just a little crafty inspiration, knowledge, and this guide from AllFreeKidsCrafts, you can make your New Year’s resolution a success. 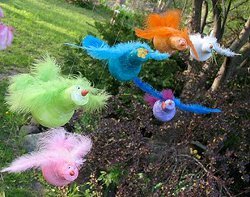 Kids are guaranteed to love these recycled crafts and learning activities, and you’ll love making a difference in your family’s lifestyle this year. Did you know that turning the tap off when you brush your teeth can save up to 8 gallons of water per day? Or did you know that recycling just one aluminum can provides enough energy for you to listen to a full album on your iPod? There are tons of cool things to learn about recycling! To really make the most of your New Year’s Resolution, start teaching kids about recycling by using fun facts like these. It won’t cost you anything at all to start learning how to recycle; in fact, the amount of money you can save when you recycle will amaze you. Charming Egg Carton Buttons: add some flair to your latest craft projects for next to nothing! Egg Carton Frog: this adorable little critter is actually one of our Top 100 Projects of 2013, and it’s easy to see why. 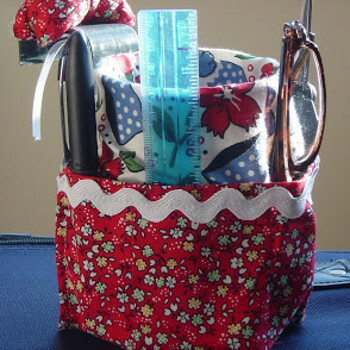 Who can resist a craft that’s both cute and thrifty? Egg-o-Math Game: re-purpose an egg carton into an educational activity for kids! 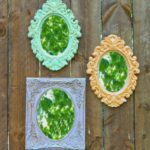 The King’s Recycled Castle: you’ll be the King (or Queen) of going green with this fun recycled craft. 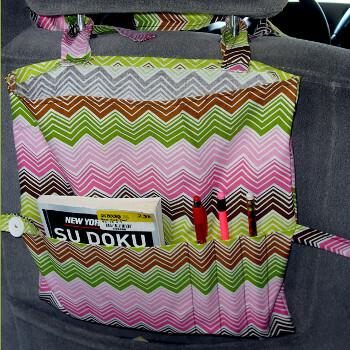 Paper Roll Pencil Organizers: want to learn how to get organized this year, too? 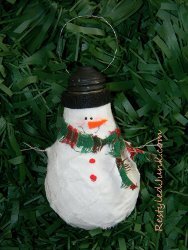 With these toilet paper roll crafts, you can be eco-friendly and organized all in one. Cardboard Tube Minion Crafts: because who doesn’t love those silly yellow fellows? Soda Bottle Terrarium: this is by far my favorite way to reuse a plastic bottle. Teaching kids the importance of taking care of the earth is much cooler when they can watch something grow. Creative Cuff Bracelets: turn going green into a fashion statement with this trendy recycled craft for kids. Miss Money-Saving Squid: cutting down on the trash in your home means making new friends, like this cute creature! 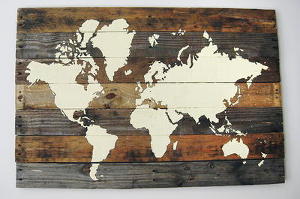 For more entertaining and economical projects, check out our full collection of 92 Recycled Crafts. 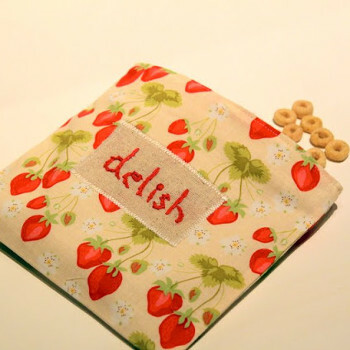 DIY Recycling Bins: these recycled crafts from Relish are a fabulously fresh way to go green. Kids will love recycling with these fun and funky bins! My Garbology: this interactive online game for kids will help kids learn about what to recycle, compost, and reuse. Think you have to wait for spring to get started on your New Year’s resolution? Think again! These planting projects can easily be done inside during the winter, so you can get started on your New Year’s resolution ASAP! P.S. 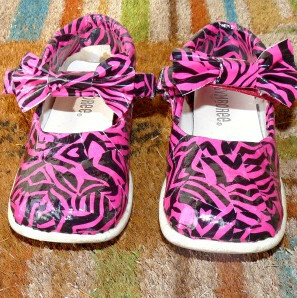 : I just can’t stop writing about recycled crafts for kids! 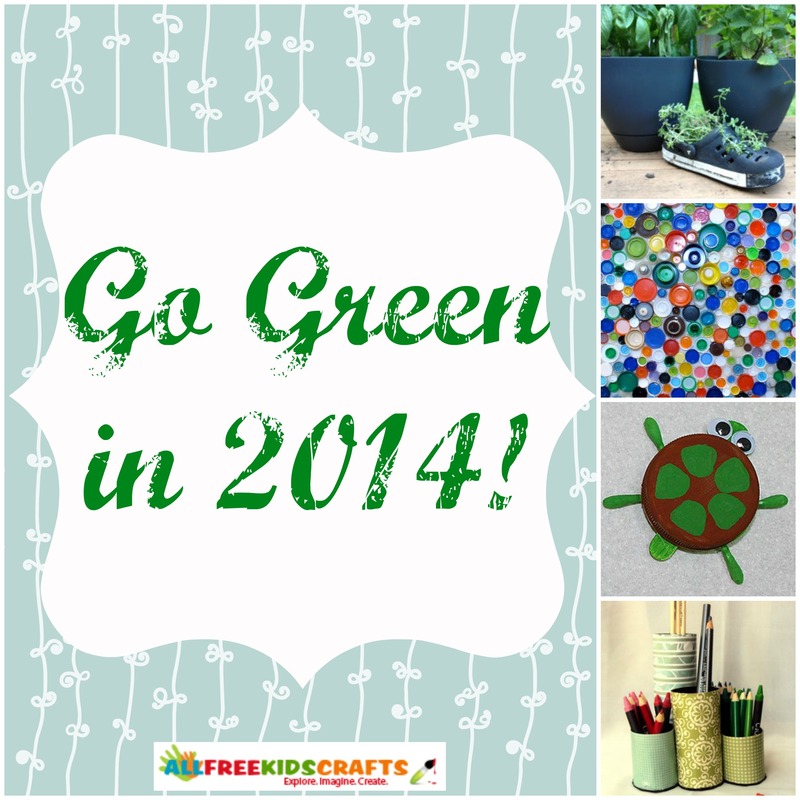 (Can you tell I’m really looking forward to going green in 2014?) 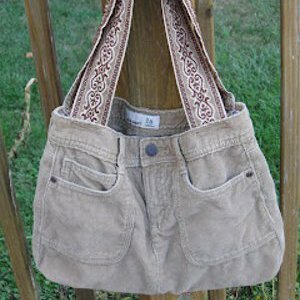 If you’re eager to be more eco-friendly, you’ll love learning how to craft with magazines, what to make with old jeans, and how to reuse old CDs! What’s your New Year’s resolution this year? It’s time, friends. I know I’m not alone in my magazine hoarding…and I’m finally ready to take the step and get rid of all those magazines that keep piling up in the corner of my living room. Whether they’re donated, recycled, or turned into something even more fabulous, I’m bound and determined to conquer the magazine beast this weekend! 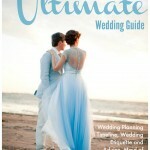 Therefore, I’m so excited to share these 7 Ways to Craft with Magazines with you. From amazing art to functional planters, these projects will help you transform yesterday’s news and gossip into today’s treasures! 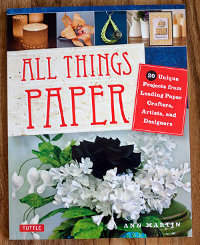 As an added bonus, we’re also giving away a brand new book, All Things Paper, filled with tons of amazing paper crafts that you can make to help decorate your home. Scroll down for all the details! 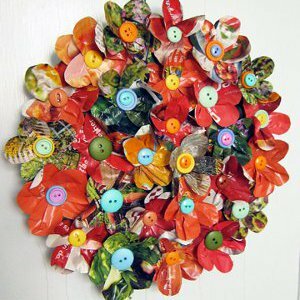 Recycled Magazine Floral Wreath: This is an absolutely stunning wreath that kids and adults can make together. 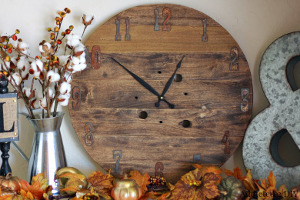 Sunburst Clock: A simple way to add color and style to your living room, bedroom, or kitchen. 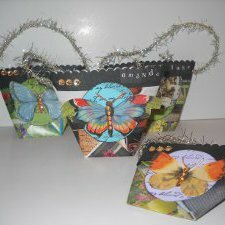 Repurposed Magazine Gift Bags: Don’t spend all that money on holiday gift wrap…just make your own! 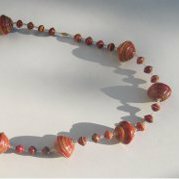 Beautiful Magazine Paper Beads: No one will believe that these beautiful beads are made from magazines. 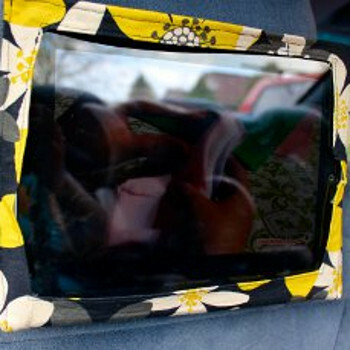 Shredded Magazine Framed Art: This super simple craft is a great one for tweens and teens. 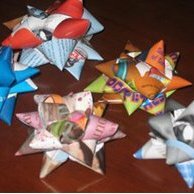 Magazine Gift Wrap Bow: Turn magazine pages into professional-looking gift wrap bows for any occasion. 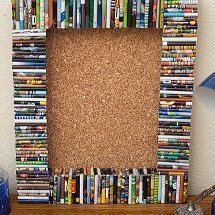 Recycled Magazine Cork Board: An amazing framed cork board made from rolled up magazine page strips. 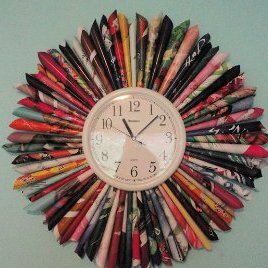 As a little something special, we’ve also included 31 Newspaper Crafts + Recycled Magazine Crafts to help you work through all the paper in your recycling bin! 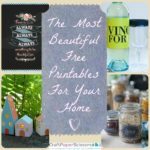 This is a great collection filled with tons of great ways to upcycle newspaper and magazines, from simple embellishments to amazing planters for your houseplants. This is the ultimate collection in green crafting! BONUS! We’re giving away one free copy of All Things Paper, filled with tons of amazing paper crafts that you can use to decorate your home and accessorize your favorite outfits! You have until November 8th to enter, and you can enter to win once a day…so the more you return, the greater your chances of winning this awesome book! 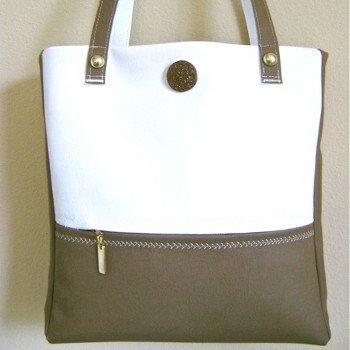 Head on over to the giveaway page to enter to win now! Good luck!